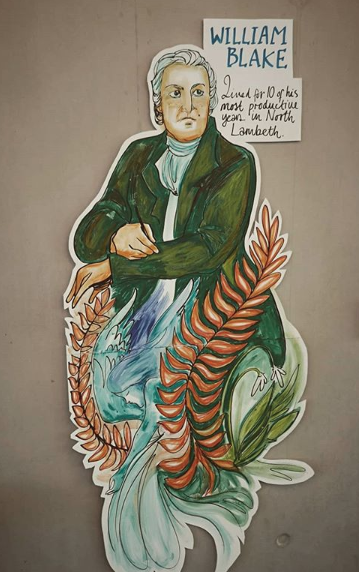 I had the good fortune to be invited by Lambeth Council and fellow artists WovenInk to collaborate on a temporary mural in the Civic Centre. 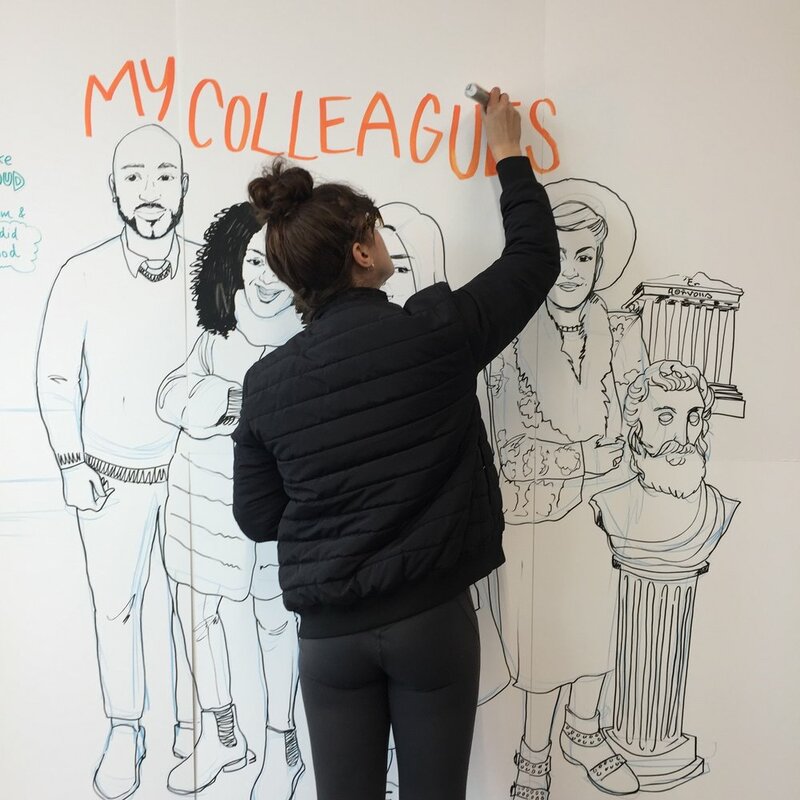 We spent three days asking local people “who inspires you?” and drawing their responses which ranged from honouring parents and relatives to famous Lambethites and international stars. The mural would be up in the Civic Centre for the following three weeks and will go on to inform designs for a more permanent installation.